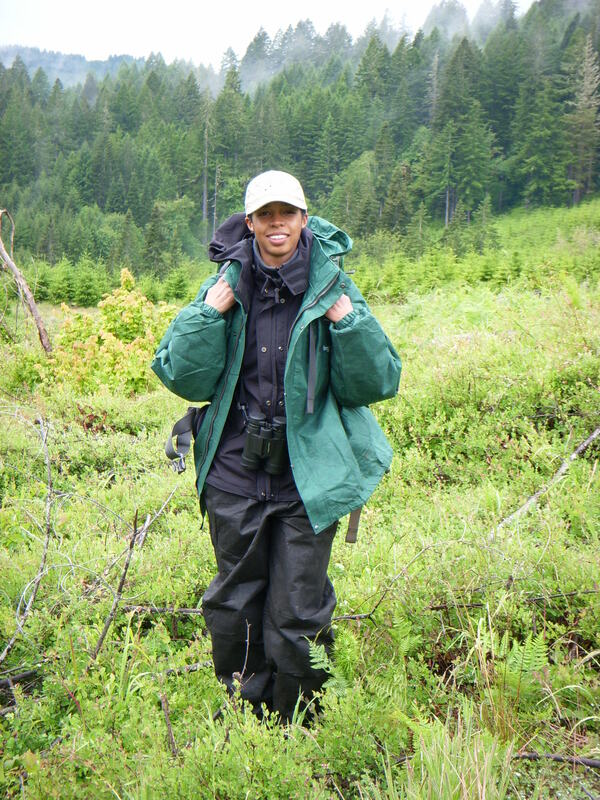 Graduate student Kristin Jones is studying the effects of intensive forest management on northern house wrens in the rugged hills of the Oregon Coast Range. Madagascar froths with variety: fist-sized lemurs, 3,000 species of butterflies, yellow hedgehogs, bulbous baobab trees, and a rich Malagasy culture. The only thing missing is easy access to Western-style toilets. So on a study-abroad trip to this island nation bursting with biodiversity, urbanite Kristin Jones got a crash course in roughing it. Sometimes, that meant using the “great outdoors” to answer the call of nature — a somewhat awkward challenge for a lifelong city dweller, she admits. Turns out that those basic, outdoor skills are important in Jones’ graduate research. That’s because the Oregon State University graduate student in the Department of Forest Ecosystems and Society is spending six days a week in Oregon’s Coast Range conducting field research on the effects of chemicals on the incubating and brooding behavior of northern house wrens. Specifically, she is studying how herbicides affect vegetation and microclimate and, ultimately, care-giving by female wrens. Anyone who has driven through the Coast Range is familiar with the quilted pattern of lush stands of trees alternating with barren logging plots. The pattern is the product of “intensive forest management” (IFM), a common practice on those rugged hillsides. Jones’ research aims to discover whether IFM practices, such as herbicide use, interfere with the wrens’ habitat. If the answer turns out to be yes, how does that interference impact incubation rhythms and egg temperature? And where is the tipping point? These are the questions driving Jones’ research. 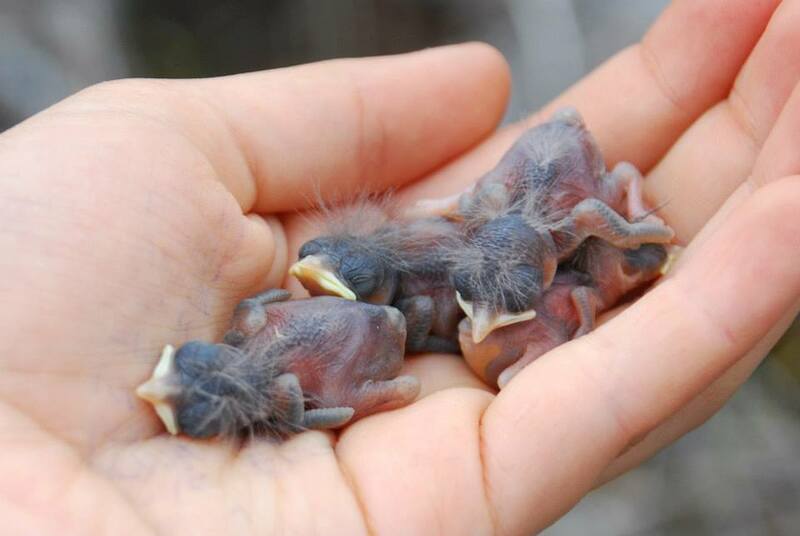 Northern house wren hatchlings are monitored for growth and development. Previous studies by OSU researcher Matthew Betts, who heads up the overarching IFM project of which Jones is a part, has turned up some preliminary hints. He has found that the impacts of IFM practices, such as chemically killing competing plants, depend greatly on their intensity. The correlation between the magnitude of intensive management tactics and the degree of songbird populations is non-linear. Betts has found that many species in the forest have thresholds in intensive management, above which they decline. This means that IFM can maintain stable and healthy populations of forest residents — but only up to a point. It is when this threshold is crossed that some species may struggle to adapt. Jones is monitoring house wrens on plots treated with low, medium and high levels of herbicides. The fourth plot type, the control, is left untreated. Starting at 5:30 a.m. every day but Sunday, she and a team of interns are making detailed observations of the chocolate-tinted, half-ounce birds in each type of plot, looking for behavior changes linked to temperature fluctuations within and around the nests. Forest managers often use herbicides that target certain plant species. If a company is growing Douglas firs, for instance, it can disperse a chemical that kills any plant that is not a Doug fir. Competition for sunlight is eliminated and the conifers grow faster. This presents an obvious monetary advantage for the logging company. As an osprey hunts over Lake Washington near Seattle, his newly hatched offspring cry out from their nest atop the highest point on the shoreline. They squirm clumsily, often falling on their beaks, their legs too weak to support them, their featherless wings too droopy for flight. Their skin is flushed and scaly, like a plucked chicken’s. These babies will grow into the majestic raptors that Jones watched as a young girl growing up in the city. They impressed her with their skill and precision in flight and hunting. They became her muse. Still, how did this child of office workers (her mother is a budget analyst and her father is a project manager for Boeing) become so fascinated with the biological and ecological complexity of life? After getting a degree in wildlife ecology at Washington State University, she made use of her French minor during her travels in Madagascar, where French is used in commerce and academia. There, she studied the effects of cultural consumption of turtles on the Malagasy environment. But her original love of birds soon brought her back to the Northwest and to Oregon State. Jones’ research is an actual experiment — unusual in the field of ecology, which typically relies on observational studies. The difference is important. In observational studies, researchers do not influence animal behavior; rather, they witness it from a distance. Experimenters, on the other hand, manipulate certain variables and record what happens as a result. Jones is surveying wrens on 12 study plots split into two groups: one treated with chemicals and the other left untreated, acting as a control. The no-chemicals plots will remain untouched by management practices for several more years. Three years ago, new trees were planted in the 30-acre plots, owned by several logging companies, including Weyerhaeuser. Today, foot-tall Douglas firs dot the hillsides. Jones and her team will analyze data from the plots and look for differences or patterns. Drawing conclusions that may point to causation, Rivers notes, is the advantage of an experiment over an observational study. The data could have implications not only for northern house wrens in Oregon but even to ecosystems and birds worldwide. Jones hopes her little wrens may pave the way for the conservation of many other species. One of her biggest lessons learned: Getting funding is tough.